Skin Care — Free Makeup Samples and Weekly Tips — from Makeup Chick! Many of us spend a lot of time and money making sure that the skin on our faces is protected, clear, and beautiful. But what about the rest of your skin? Your skin is the largest organ you have and all of it deserves to be treated with great care. This is especially true in the summer when we are showing more skin than any other time of year. In order to keep yourself beautiful from head to toe, start by using an exfoliating sponge, loofah, or bath puff for your daily cleansing. There are also some great exfoliating body washes on the market at very reasonable prices. Try the Suave exfoliating body wash with shea butter for deliciously smooth skin. Once you have removed the dead and dulling skin cells, be sure to moisturize after the bath or shower. There are several “healthy glow” type lines available now that provide quality moisture plus an added tint of color to the skin. Just make sure to apply these products evenly and air dry for a bit before dressing. When it comes to ripping the hair out of your body, leave it to the professionals. Although there are several decent products on the market that will allow you to “do it yourself,” waxing is something best done by the trained professionals. Some of us feel a little awkward about the experience, especially on the first visit to the spa, but the trip is well worth it. Please understand that the person providing this service is actually a trained professional and knows what he or she is doing. Be sure to ask questions and understand what you are asking for and what you are going to get. There are different styles of waxing from eyebrows to legs to bikini to Brazilian. The most common are the Bikini wax and the Brazilian wax. You have choices when going in for either one, so be sure to discuss options and preferences with your waxer. In most spas, a Bikini wax removes the hair that would be visible if you were wearing a bikini. A Brazilian on the other hand comes in a few different styles. Most commonly, a waxing of this type will remove all of the hair from the small of your back to your belly button. No matter how much hair you would like removed or where, be sure to make your desires clear and allow your professional waxer to do his or her job. 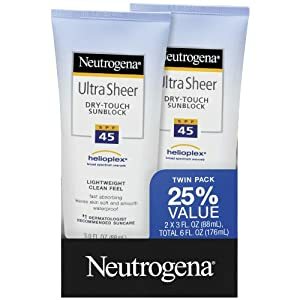 Neutrogena Canada is giving away 100,000 personalized gifts of trial sized products and coupons to celebrate 60 years in Canada. It looks like they have lots of samples, and then give out coupons for the ones which have run out.